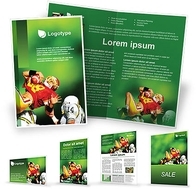 Digital Brochures - Best for lower volume, full colour brochures when you need them fast! Printed on 24lb digital brilliant white paper. 28lb, 32lb and glossy also available.